It's the weekend!!! What better way to start off your Friday than with these delicious muffins?! I'll eat any treat with Banana and it and anything with Coconut in it so I thought... Why not try them together? THEN I had the mind-blowing idea that Nutella would be the perfect addition to this because... Well, Nutella makes everything better. So basically these muffins are taken from my Banana Bread Recipe which is the BEST EVER and then I added coconut to the mix. The coconut is great because it's not overpowering and when the top gets toasted, it's the perfect mix of crispy and sweet. Try them for yourself!! I have a feeling you'll love them! 1. Preheat oven to 350F. Line a muffin tin with Individual muffin/cupcake liners (or you can just spray the muffin tin with a non-stick cooking spray) and set aside. 2. 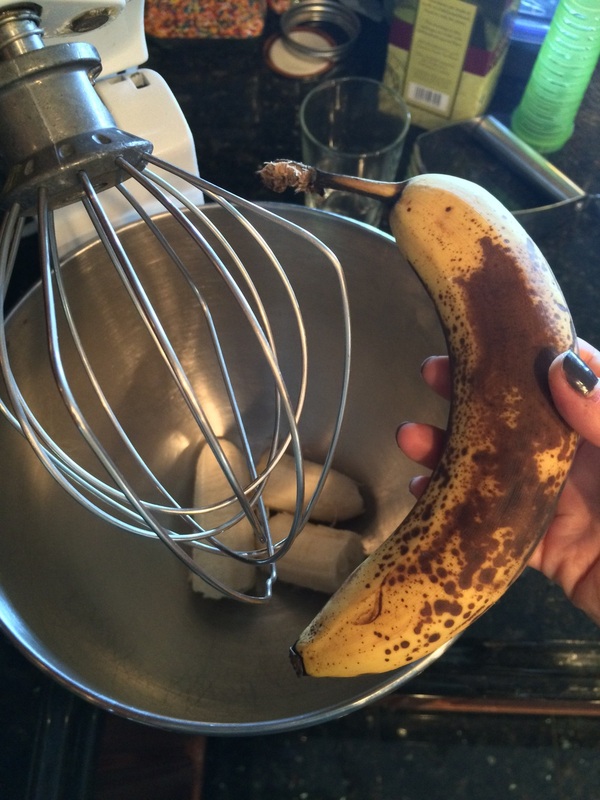 In a stand mixer or in a large mixing bowl, mash bananas until smooth. It's okay if it's a bit lumpy! Add the eggs one at a time just until incorporated. Then add the sugar, oil, apple sauce and coconut extract and mix until smooth. 3. In a separate bowl, mix together the gluten-free flour, baking soda, cinnamon and salt. Slowly add this dry mixture to the wet mixture and mix until smooth. Lastly, fold in your 3/4 Cups of coconut flakes until there are no lumps. Your batter is ready! 4. Spoon some batter into each muffin liner about 1/3 full. Then either spoon some Nutella on top of the batter or put the Nutella in a small plastic bag, cut an edge of the baggy off and squeeze it onto the batter like I did. Both methods work great! THEN spoon more batter on top of the Nutella until the muffin liners are 2/3 full. Finally, sprinkle the tops with coconut flakes. Now they're ready for the oven!! NOTE** if you want to make these a bit healthier, substitute the oil for the same amount of applesauce OR Greek yogurt and replace the granulated sugar with coconut sugar.